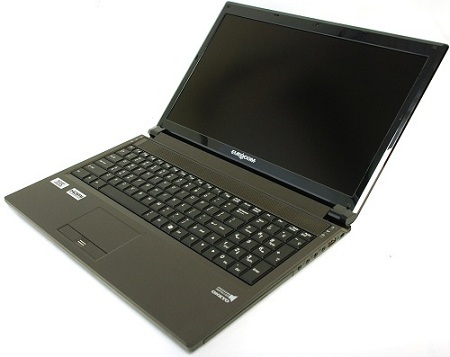 Eurocom Corporation (www.eurocom.com), a developer of long lifespan, high performance, fully upgradable Notebooks and Mobile Workstations is offering a full line of NVIDIA Quadro professional level graphics processors in the Eurocom line of notebook workstations. Eurocom has stress tested and benchmarked the line of Mobile Workstations with the NVIDIA Quadro graphics to verify the performance and capability for customers. The benchmark testing was a comprehensive roundup of several different software suites with different benchmarking capabilities. This round of testing is designed to give a real world view into the performance of the platform and graphics processor. All Eurocom Mobile Workstations are fully customizable, allowing customer to choose exactly the components they require for their task. From the line of NVIDIA Quadro graphics to 3rd Generation Intel Core i7 Processors Extreme or 6 core Intel Xeon Desktop Processors. Eurocom Mobile Workstations are designed for the new breed of professional who must travel but still needs access to powerful, reliable and long lasting professional grade hardware. “We offer our customers a myriad of options of performance levels in our workstation class laptops, in terms of display and chassis size to processor, graphics, storage and memory performance, RAID level and price, to provide the optimum engineering platform for engineering on the go” Mark Bialic. Eurocom Mobile Workstations support Enterprise level Solid State with RAID 0,1,5,10 capability for the best in performance and redundancy. “Eurocom Mobile Workstations help engineering companies innovate, become more efficient, productive and offer customers new services faster and at a lower cost. Being able to travel to customers and stake holders locations with capable mobile hardware is a huge advantage for our customers” explains Mark Bialic, Eurocom President. • MXM 3.0b graphics interface with support for dual graphics card operation. NVIDIA GeForce, NVIDIA Quadro and AMD Radeon supported. • Intel X79 Chipset, socket LGA 2011. Supports up to Intel Core i7-3970X Processor Extreme Edition and Intel Xeon E5-2687W. • MXM 3.0b graphics interface with support for NVIDIA GeForce, NVIDIA Quadro and AMD Radeon.